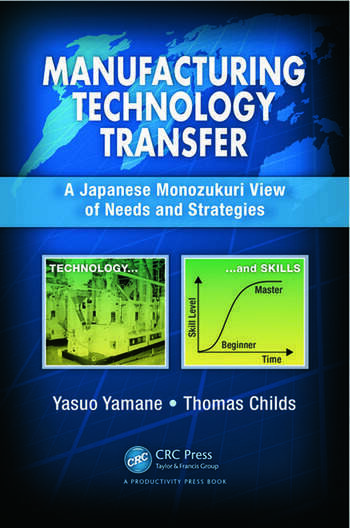 Based on a bestselling book originally published in Japanese, Manufacturing Technology Transfer: A Japanese Monozukuri View of Needs and Strategies offers time-tested methods and little-known tips for achieving successful transfer of technology along with the skills required to operate that technology. Designed to support a series of lectures on technology transfer within a master’s course on the management of technology, it presents the results of years of research carried out at Hiroshima University. The book delves into the authors’ decades of experience transferring technology between Japan and the rest of the world, particularly to developing countries from where much of the world’s future economic growth is expected. It contains case studies of successful technology transfers from both the ship building and food equipment industries. Its wide-reaching coverage examines methods of skill transfer, production management, and manufacturing company classification. Introducing readers to the engineering activities that occur within the manufacturing industry, the book illustrates the engineering technology activities involved in manufacturing, along with the production management activities required to support them. It also explains how job simulators can help shorten learning times in the manufacturing industry in the same way that flight simulators are used to teach flying skills to pilots. 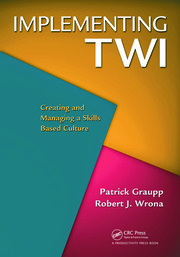 The book outlines a framework for teaching and learning processes that can be visualized in terms of an S-shaped learning curve. It explains how technology transfer overseas should be supported by contractual agreements between the parties concerned. Detailing the legal/contractual responsibilities for all parties involved, it also describes what you should do if problems arise during the transfer. Integrating previously unpublished research results with illustrative case studies, this book is suitable for a wide audience within the manufacturing industry—including manufacturing engineering students in both developed and developing countries, those responsible for the development of manufacturing engineers in industry and elsewhere, and anyone interested in the international activities of Japanese manufacturing companies. Is the Learning Speed Different Overseas? Yasuo Yamane received his undergraduate engineering education from Hiroshima University before taking a position as a machine tool designer with the Toshiba Machine Tool Company. He gained his doctoral degree, again from Hiroshima, in 1980, before commencing an academic career. He has been a professor (1983-present), Dean of the Graduate School of Engineering (2005-2009), and the Director of Hiroshima University’s Venture Business Laboratory (2000-2003) and Collaborative Research Centre (2003-2005). He is currently (2009-present) the Vice President of Hiroshima University with a special responsibility for international affairs. It is this broad background experience, added to his career-long special researches in metal machining, machine tool design, and technology transfer, that has given him the insights and desire to develop the present book’s scope and contents. He is also a co-author of the advanced level text book Metal Machining: Theory and Applications. Tom Childs was the lead-author of the book Metal Machining: Theory and Applications. He received his undergraduate and postgraduate degrees from Cambridge University. From 1989 until his retirement in 2008 was Professor of Manufacturing Engineering in the School of Mechanical Engineering of the University of Leeds. He has published some 200 papers in the areas of metal machining and more generally on friction and wear in engineering components. He has spent three extensive periods as guest scholar / visiting professor in Japan, at Tokyo Institute of Technology, Osaka University and most recently Hiroshima University. It is these and other exchanges that have given him an interest and insight into the origins of Japanese manufacturing skills and culture (sometimes described by the word ‘monozukuri’ in Japan) and which underpin his co-authorship of this book. I am on a committee to start a new program in manufacturing engineering on our campus this fall and this book will help us define the types of student outcomes and research goals we need to have. 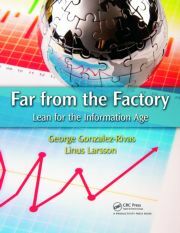 We are now having to move to a more holistic, modeling, optimization and global manufacturing view which includes more management and strategy which is covered in this book. Very nice topic and I especially enjoyed Chapter 9 with its model and thinking-processes for how (or not) to expand overseas and outsource—well done.